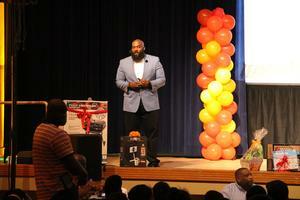 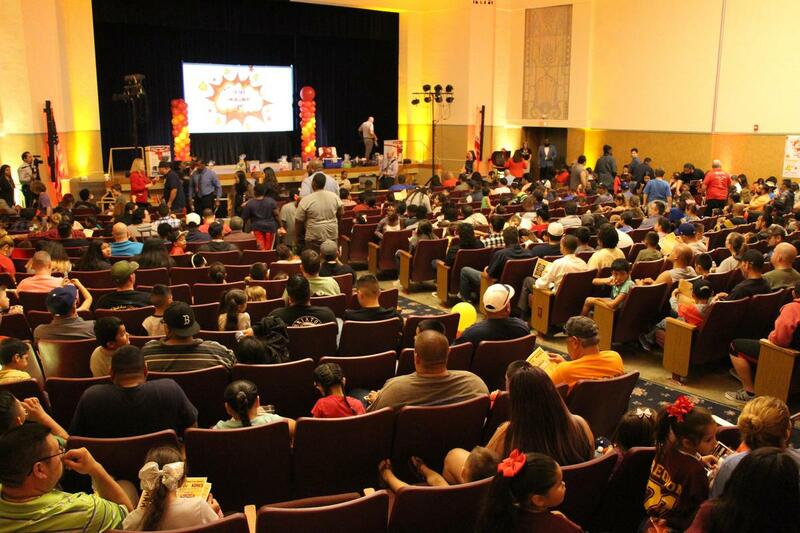 Hundreds of fathers, students and their families gathered in the auditorium at the BCSD Education Center for a night of encouragement, motivation and fun. 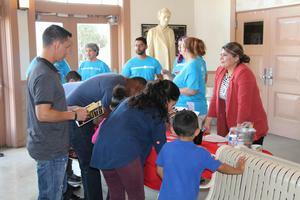 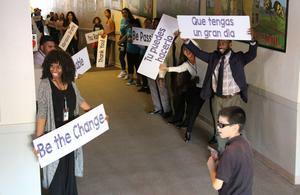 The first-time event featured guest speakers, games, raffle prizes and food. 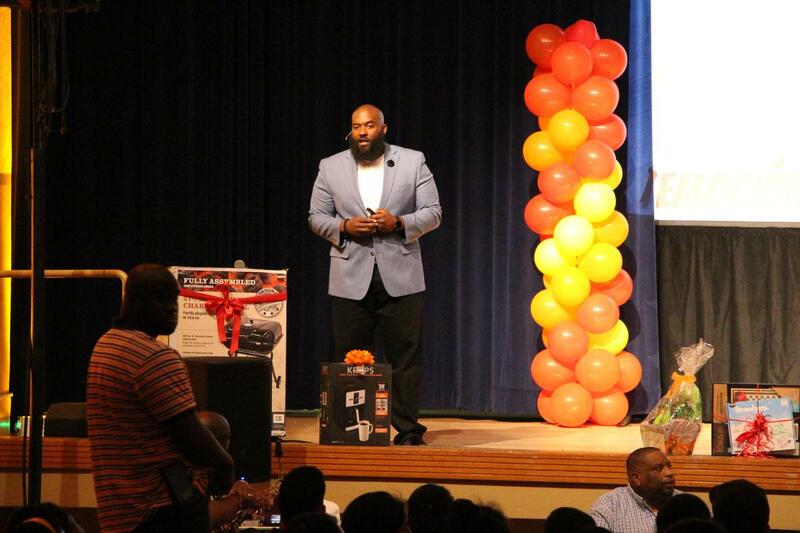 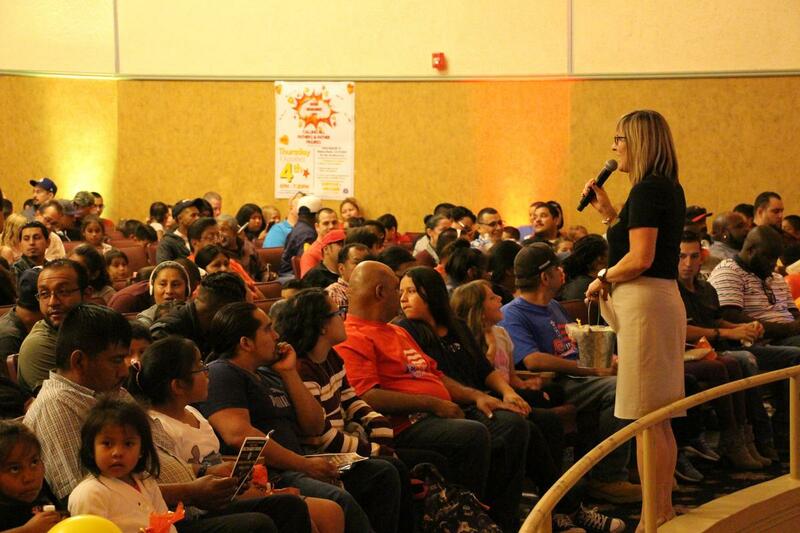 October 12, 2018 - Hundreds of fathers, students and their families gathered in the auditorium at the BCSD Education Center for a night of encouragement, motivation and fun. 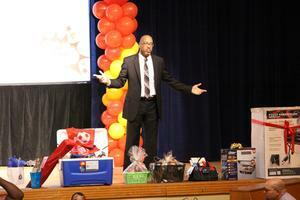 The first-time event featured guest speakers, games, raffle prizes and food. The event kicked-off with a welcome from Family and Community Engagement (FACE) Coordinator, Dee Dee Harrison and BCSD Superintendent Doc Ervin. 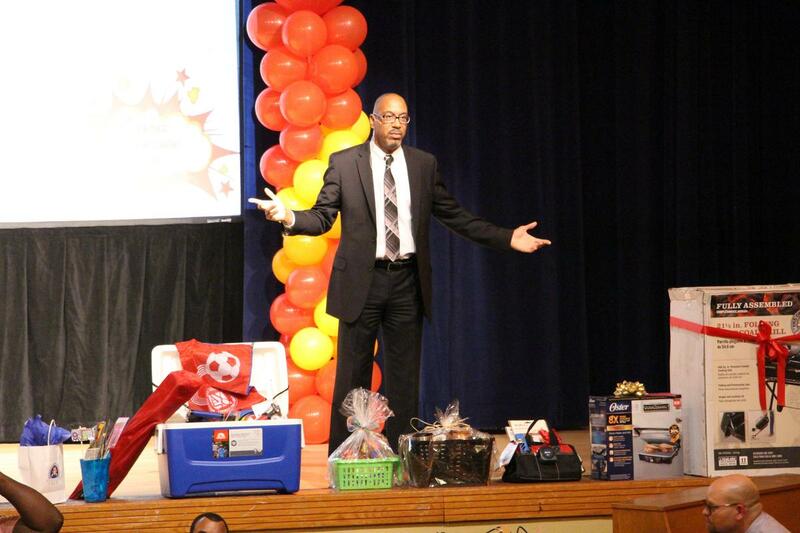 The keynote speaker for the evening was FACE representative, Joe Smith, who encouraged dads to stay involved with their children’s lives and education. He also emphasized the importance of their role as husband and father and to invest time and energy each day to their child’s development. 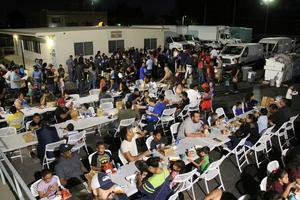 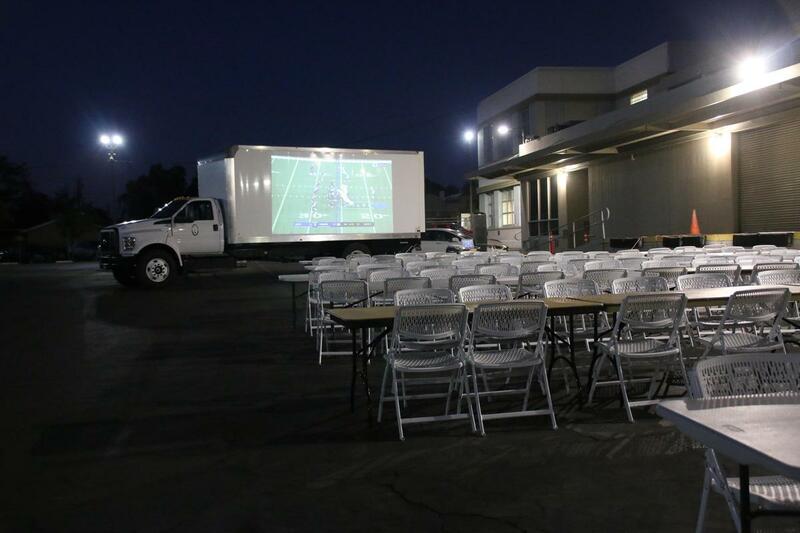 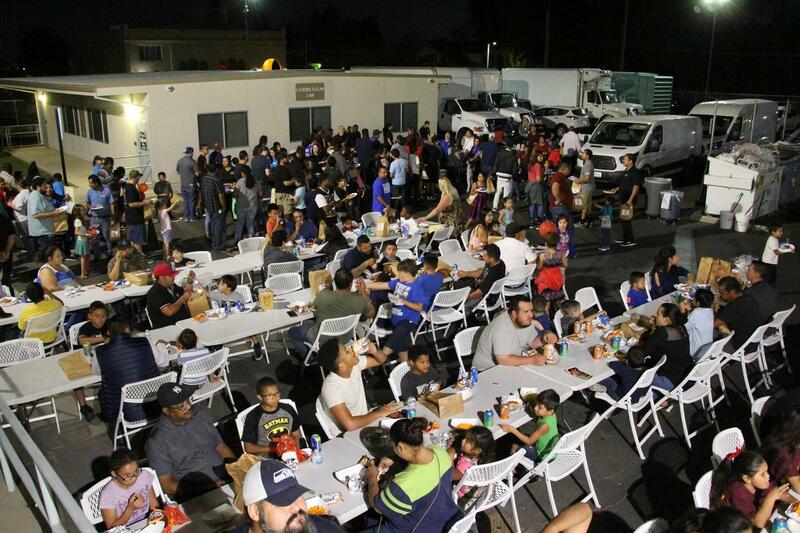 To finish off the evening, fathers and their families were welcomed to the back parking lot for hamburgers and televised football, which was projected onto one of BCSD utility trucks. 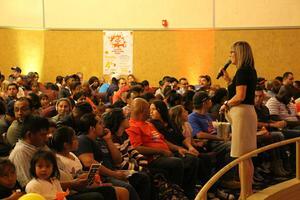 More than 500 fathers, students and family members were in attendance.